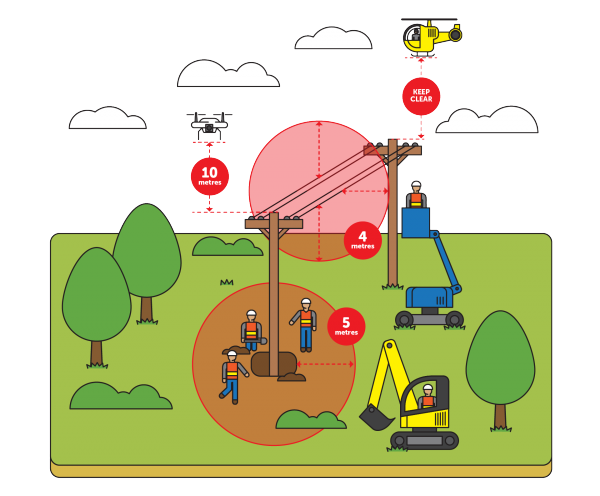 Always be aware of the location of overhead power lines in your work area. 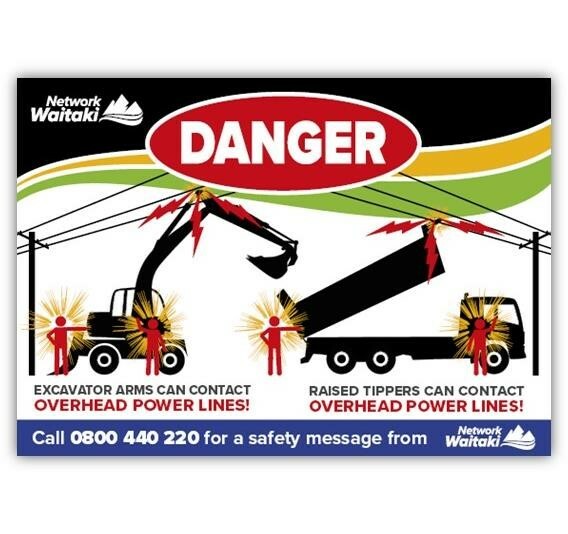 If you intend to work close to overhead power lines or underground cables, contact NWL on 0800 440 220 for information you will need and a close approach consent if applicable. Never climb a power pole or interfere with any electrical asset. Never touch a downed line. Always check for distances from lines when trimming trees. 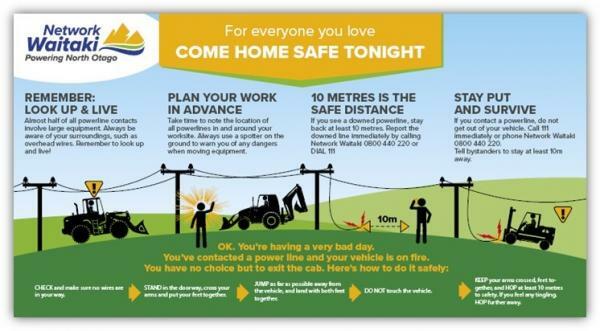 Never dig around a power pole unless you are more than 5 metres away from the pole - always check for underground cables first. Further information can be found here or at the Energy Safety website. Check out the Video gallery. Always know the location of underground cables before you dig or excavate. You may need to apply for a Close Approach permit, via this link. If you are not sure of the cable locations contact Whitestone Contracting (03) 433 0240 or 0800 B4U DIG (0800 248 344). This is a free service. Remember that cable locations depicted on plans or maps may not be completely accurate so check before carefully it's too late. Depending on what cables are buried, there may be a need for an excavation to be carried out using Hydro vac methods - contact NWL for more information.